Watercress is a member of the mustard family and its natural habitat is Europe and Asia Minor where it grows by flat banks, wet meadows and ditches. Watercress, a perennial, grows wild and sprouts in the spring. The plant is bright green in colour and has leaves that are roundish oval in shape. Its leaves and stems have a peppery flavour and are mostly eaten raw in western countries, usually in salads and sandwiches. In eastern countries, watercress is cooked in clear broth soups. Watercress is sold in supermarkets with its leaves wrapped in plastic and the roots placed in a shallow tray of water. In ancient Greece, consumption of watercress was thought to increase intelligence, inspiring the proverb “eat watercress and get wit.”. 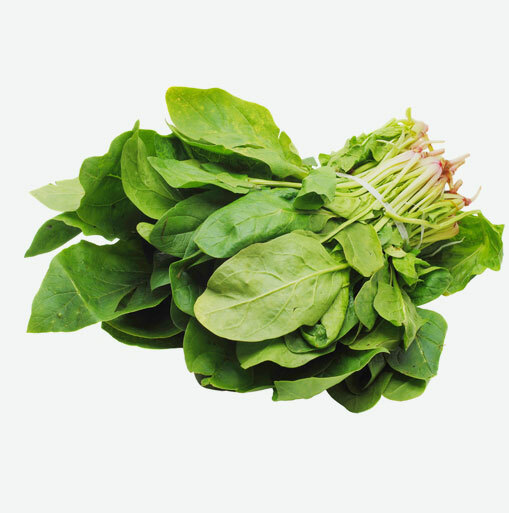 Gram for gram, watercress provides an excellent dose of Vitamin C, calcium for healthy bones and iron for healthy red blood cells. One ounce of watercress contains only 22 calories. Watercress is best stored in the refrigerator with its stems in water and the leaves loosely covered with a plastic bag. Watercress usually keeps for three to four days. Just before using, wash watercress in a bowl of cool water and rinse under running water. You might want to trim stems if desired. Watercress can be enjoyed raw. It can also be blanched, the moisture wrung out and then chopped and tossed with a light sesame oil dressing. Chinese often stir fry it with a little salt, sugar, and wine or use it in soups. Watercress is great in salads, sandwiches, soups and steamed as a side dish. Watercress can be used as a garnish or steamed with fish, poultry or other vegetables.